For people who frequently travel, a hotel is like a second home. Based on the quality of the room, facilities and services, the level of comfort can vary widely. Dubai International Hotel’ s design appeals to the traveler’s longing for the comforts of home. The first-fold image of tea, snacks and porcelain is expansive and evokes contentment. The use of simple typography, transparent headers, and unobtrusive navigation helps minimise distractions and highlight the core concept – Dubai International Hotel as a true home away from home. 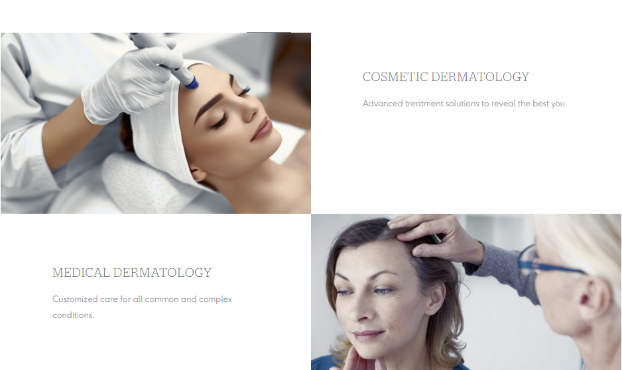 Each of their services is represented by an icon that unfolds when you hover over them. Notice the beige CTAs? The use of beige, black and white is consistent throughout the site. They might seem like boring colour choices, but when used in combination with each other, they create a pleasant neutral vibe that’s perfect for a hotel aiming to make visitors comfortable. Swiss Arabian is a pioneering multinational fragrance brand with its origins in the UAE. Unlike other Middle Eastern fragrance companies, their brand identity and perfumes are a unique mix of the East and the West due to their collaboration with Swiss perfume giant, Givaudan Roure. The first thing you notice on the website is the floating navigation bar with the blinking ‘Shop Now’ tab. It invites you to click on it and go to where the brand wants you to go – the online store for their Arabian and Western perfume collections. The design’s black and white palette matches the Swiss Arabian logo, is easy on the eyes, and serves as an elegant showcase for the fragrances in their vivid bottles. Swiss Arabian enhances its premium appeal with black and gold CTAs and black and white gradients for the main images. One particularly exciting feature is the virtual tour which places the user within a Swiss Arabian store. By clicking and dragging the pointer, the user can get a 360° view of the perfect Swiss Arabian experience. Elegant e-commerce websites to meet your business objectives. Healthcare can be complicated at the best of times. 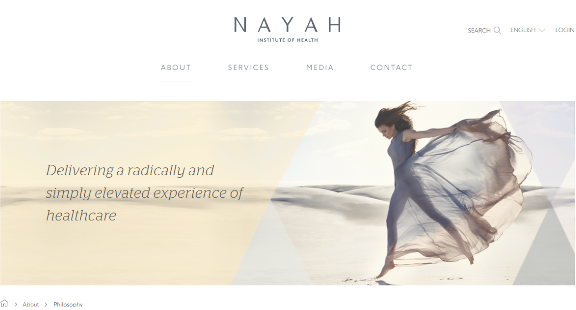 The Nayah Institute of Health aims to offer a different type of healthcare experience instead – a personalised combination of premium care and the best services money can buy. Nayah’s simple design is like a breath of fresh air with pastel-grey blends, ultra-thin and light fonts, uniform background, and vibrant, positive imagery. The menu structure is uncomplicated and allows easy navigation and access to key sections like the services. In line with its concept of simplicity, Nayah uses a minimalistic layout to highlight its bespoke services and solutions. The content is short, descriptive and framed by a page design that’s clean and clutter-free. A website is more than just a pretty online face for a brand. 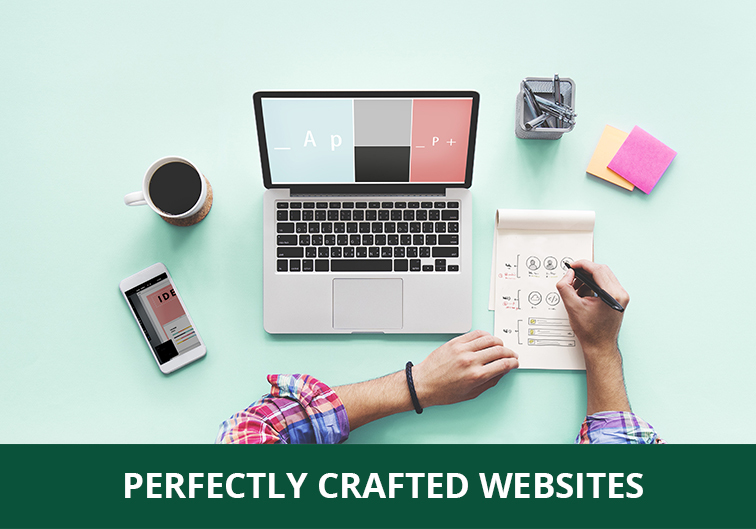 A finely-crafted website can speak to your customers, establish your credibility as a business, and differentiate you from the competition. Which inspiring website have you stumbled across recently? Establish your brand online with a well-crafted website. Get in touch with the team of specialists at Global Media Insight.